Jaguar Land Rover's department has a solid track record of turning the automaker's production models into fire-breathing performance machines and they usually involve fitting a 5.0-liter supercharged V8 under the hood. That's just what JLR's skunkworks team have done with this latest model, so why does it take ten seconds to reach 60 mph? Because of all the armor, that's why. The new Sentinel packs more than a metric ton of armor plating and bulletproof glass, the better to protect wealthy individuals and high-level government officials the world over from attack. It's certified by a wide array of ballistic and blast standards, including from improvised explosive devices (IEDs) commonly used by terrorists in war zones. It even has run-flat rubber that will allow it to keep driving up to 30 miles at 50 mph even after the tires have been shot out. Buyers (whether private or public) can specify sirens and strobe lights, a PA system (to allow occupants to address those outside without leaving the vehicle), and front windows that can open 0.6 inches to pass documents inside without opening the door. To cope with the added weight, JLR-SVO has beefed up the suspension, brakes, and electronics so that it'll still handle both on and off the road as a Land Rover should. 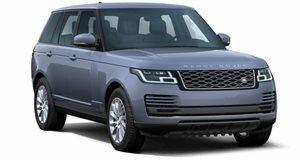 Motivation, as we mentioned above, comes from JLR's celebrated 5.0-liter supercharged V8, but not the 575-horsepower version that powers, say, the . This one produces 380 hp, which is still 40 more than the V6 previously offered, and propels all that heft to 60 mph in 9.8 seconds and on to a limited top speed of 120 mph.